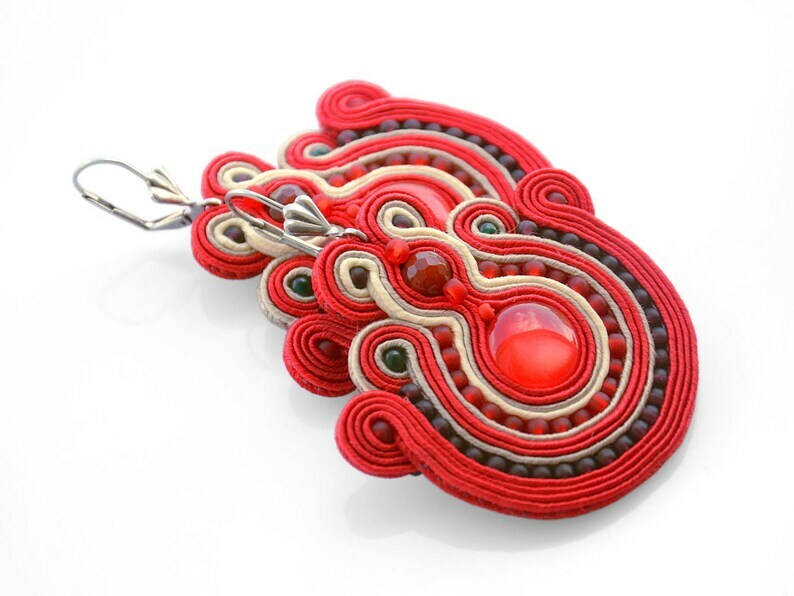 Big and colorful statement earrings made from soutache braid embellished with agate and glass beads. Despite the significant size the earrings are surprisingly light. They are extremely eye-catching and look great both with light and dark hair. •	The back is covered with synthetic leather. •	A jewelry gift box is included.